Since I am getting the question frequently about how to preview my eBook on Amazon, I decided to give directions to assist. You can follow the directions below to read the front matter and some poems from my book "Beyond the Event Horizon." I know once you have read the preview you will want to add my book to your digital collection. And for only $3.99 plus tax, why not. 1. You can begin by accessing my listing by typing my name, "James C. Ellerbe," in the search field at www.Amazon.com. 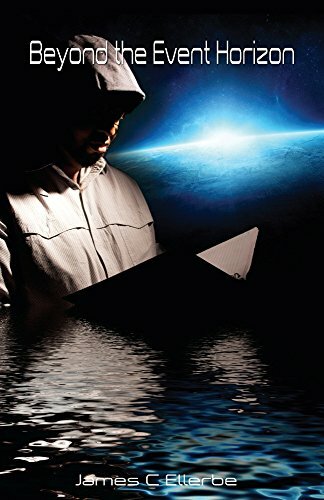 You can also access through the direct link, http://www.amazon.com/dp/B00UWDJLZK, or click the "Buy on Amazon" button or book cover above the "Buy on Amazon" button at the Home section of my website www.JamesCEllerbe.com. 2. Next, you will see my book cover on the left, and right below it is the tab "kindle edition." 3. Click on the tab, and your can either scroll down, press the down arrow key on your keyboard, or click right arrow icons to the side of the book to access the additional pages. By the way, I am now accepting pre-orders for the printed version of "Beyond the Event Horizon" on my website, www.JamesCEllerbe.com. The price is $15 with shipping and handling. The book will be shipped on April 15th with 3 business day delivery (tracking information will be sent via email). With every book order you will get one free bookmark with one of my poems that is featured in the book. I will be more than happy to sign your hard copy of the book at my official book signing (see website for more details). I look forward to your feedback, and seeing you at the book signing. "Beyond the Event Horizon" is James C. Ellerbe's first book of poetry that chronicles his life and evolution of thought on the subjects of love, life, social politics, and economics. It is a unique journey from his adolescents to adulthood through the motif of a black hole. BEH is his arrival to the literary world. Just finished Dave Ramsey's "EntreLeadership" book. Awesome stuff for all you small business owners. Jerry Gant gave out lessons to all us aspiring, and inspiring Jersey poets last night. He basically told us that it is important that you leave your legacy in the hearts of your peers, and work to elevate your craft. That's all that matters in the genre of spoken word. I hear you brother; thanks for your contributions, and your lessons.